DJM Quarter Horses and Stables consists of 26 full size stalls in the main boarding barn (80 x 120) with indoor riding area. Separate Mini Barn includes 6 full stalls and 2 mini stall. Separate broodmare barn. 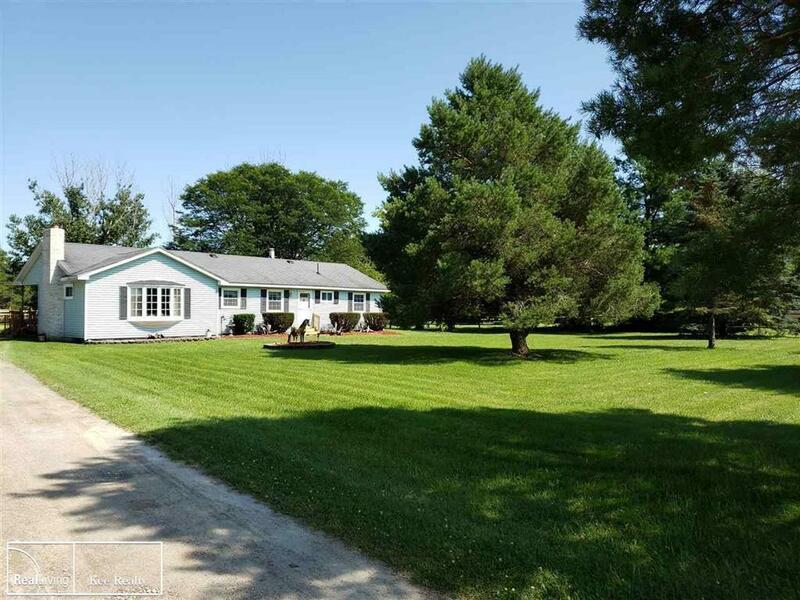 Property includes 200 x 100 outdoor riding arena and 3 large turnout areas on 13.2 acres. Currently, the facility boards 19 horses and the mini barn for income. Boarders are aware of the sale. Current owner will stay on to help in the transition until comfortable. The home on the property consists of 1,600 square feet, 3 bedrooms, and 1 bath on a crawl space. Home has new windows in 2012 along with the vinyl siding and sill in 2018. Home has well and septic with water spickets in the main barn. Wood burning stove helps to heat the home and keep propane bill lower. This is a great opportunity for you to take over an already existing boarding facility located close to I-69 and Wadhams to Avoca Trail. Goodells 4-H Park is within 2 miles. Come take a look at this fantastic operation. IDX provided courtesy of Realcomp II Ltd., via Mi Horse Properties and Mirealsource, Copyright 2019 Realcomp II Ltd. Shareholders. Real Estate listings other than those of Mi Horse Properties are marked with the Broker Reciprocity logo and detailed information about them includes the name of the listing brokers. Information deemed to be reliable but not guaranteed. Any use of search facilities of data on the site, other than by a consumer looking to purchase real estate, is prohibited. Last updated on 2019-04-26.